My Cluttered Corner: Last Monday of 2009! Seriously? Next Monday will be 2010. Anyone else confused as to where the last year has gone? Oh well, time just continues to move faster and faster. Speaking of New Years, the new ScrapTiffany challenge is posted. 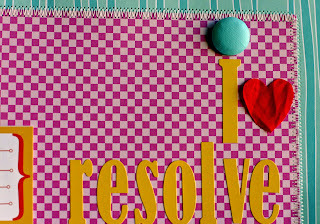 The challenge is to scrap about resolutions. I am not usually a big resolution maker and I dont usually get all excited about a new year, because to me it is just another day, but this year there are some things I have been thinking about and trying to work on. This seemed like as good a time as any to put them in writing! I had a lot of fun with this one as it was my first completed layout after the holiday hiatus. I used Bella Blvd papers, labels, alphas and Bell Bits. The scallop border on the bottom is a Bella flower. I took the layers apart and then cut the large white flowers in half. Then I stamped the Bella clear Happy stamp with Staz On, spritzed with Tattered Angels and sewed it on as a scalloped border. The red "hearts" are the smaller layers from the Bella flower cut into fourths. 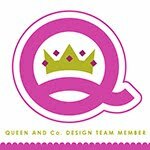 Go on over to ScrapTiffany and check out the other designers layouts. And if you want to participate in the last challenge of 2009 be sure to send it to Tiffany by Friday. I love how you did the title on this layout, and the photos are fantastic!! 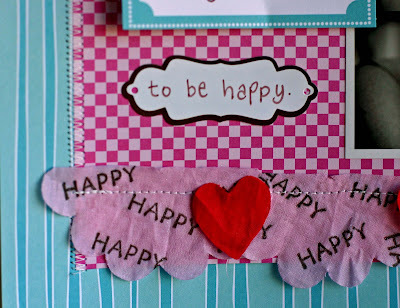 Great subject matter and I love the happy stamp along the edge. Love it! I love your layout Rebecca! The colors are gorgeous and I love the title too! what a great way to use that flower! Love the design of this LO. Wish I was back to the scrapping! I just can't get myself motivated right now, but hopefully after the New Year! 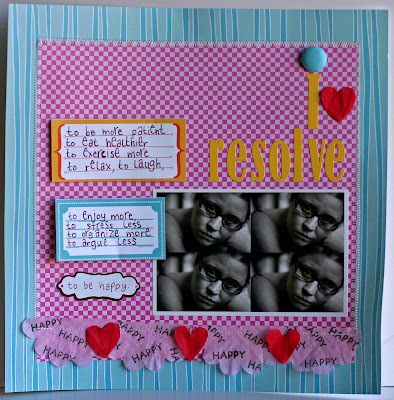 I love your resolutions page to pieces! Great pix and how cool that you took apart the Bella flower and made that awesome border! Such a cute layout!!! LOVE it to pieces!! !